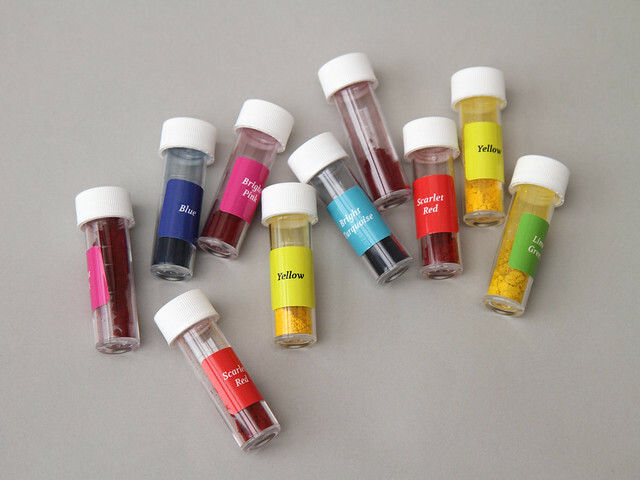 Extra vials of the same fibre reactive dye used in our kits. Each 1g vial is enough to dye approx. 100g yarn a strong colour, with the exception of black, for which we recommend 2g per 100g yarn for a rich black.